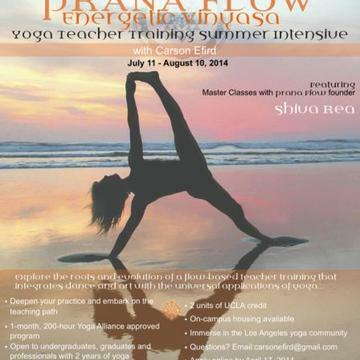 Deepen your personal practice, immerse in the Los Angeles community and embark on the teaching path in UCLA Summer Institute's Prana Flow: Energetic Vinyasa Yoga Teacher Training, offered by the world-renowned UCLA Department of World Arts and Cultures/Dance. Our month-long, 200-hour, Yoga Alliance approved, summer intensive will prepare you to teach Prana Flow yoga created by Shiva Rea from a somatic perspective. 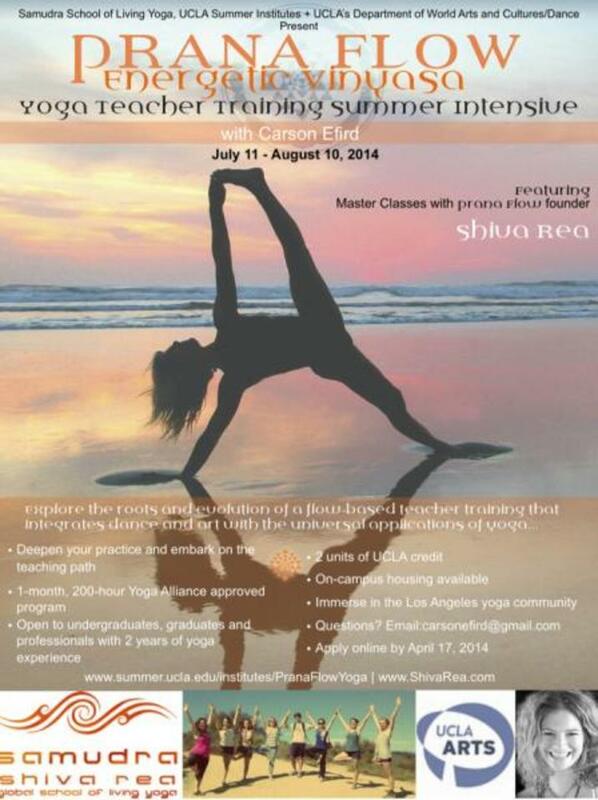 Upon successful completion of the program, you will earn two units of UCLA credit and receive your Prana Flow yoga certificate, allowing you to register with the Yoga Alliance at the 200-hour level as a Registered Yoga Teacher. If you are an undergraduate or graduate student, or professional, without serious injury and a regular yoga practice for at least two years, you are encouraged to apply.